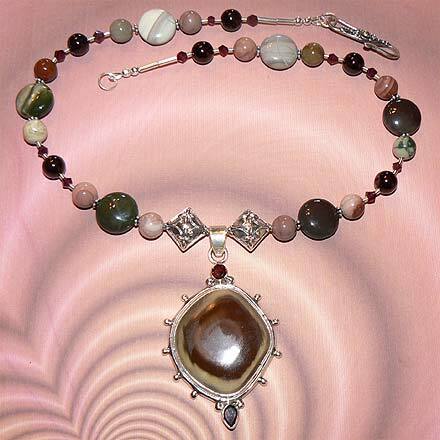 Sterling Silver Imperial Jasper and Garnet Necklace. See Closeup. 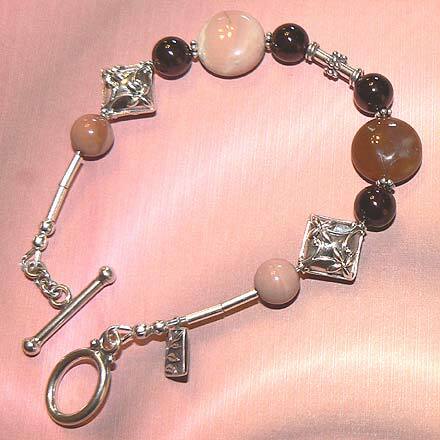 Sterling Silver Imperial Jasper and Garnet Bracelet. 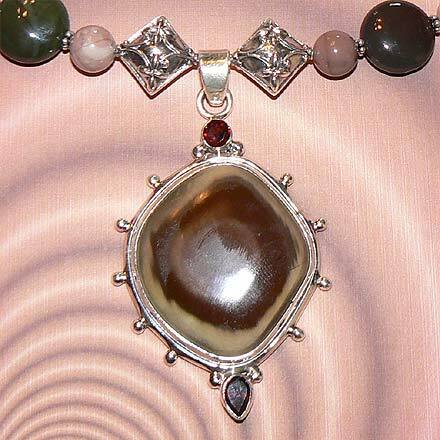 Garnets match so well with this warm-colored, creamy Jasper. For those who are interested in Astrological significances of stones, Jasper corresponds with Virgo and Leo and Garnet corresponds with Capricorn, Aquarius and the month of January.